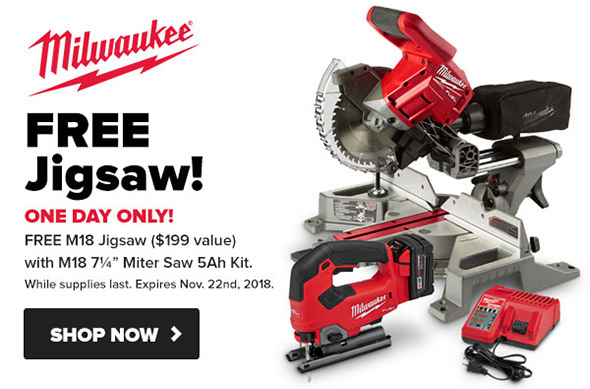 Here’s a look at all of the new Milwaukee Black Friday 2018 tool deals that went live today! Subscribe to our Newsletter for more tool news, reviews, and DEALS! Over at Tool Nut, they have a ONE-DAY deal, 11/22/2018. Buy an M18 Fuel 7-1/4″ cordless miter saw kit, get a FREE M18 FUEL top-handle jig saw! 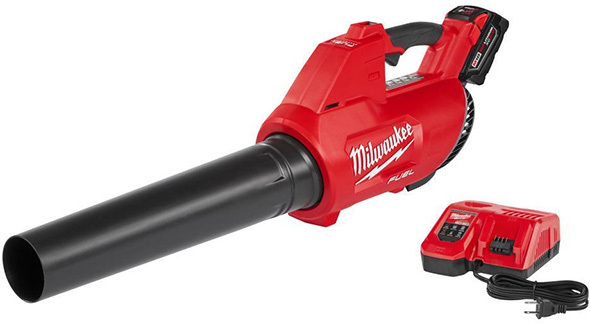 Acme has a special buy on this Milwaukee M18 Fuel (Gen 1) blower kit, with comes with the blower, charger (is that a rapid charger?! 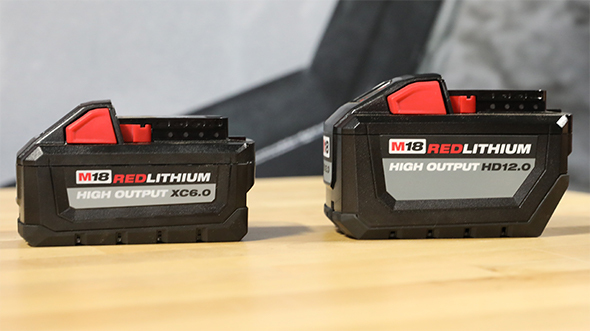 ), and 5.0Ah XC battery. Note: Just the starter kit by itself is selling for $99 at other retailers as a holiday promo. This looks to be a great buy! 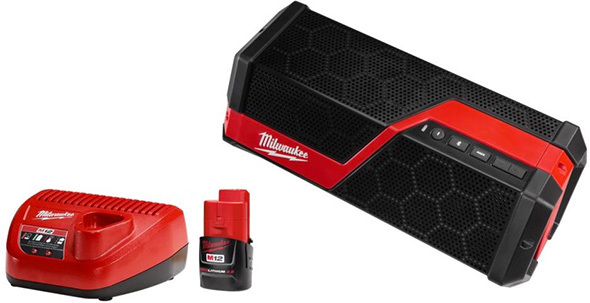 This M12/M18 Bluetooth speaker plus M12 starter kit bundle deal is now live. 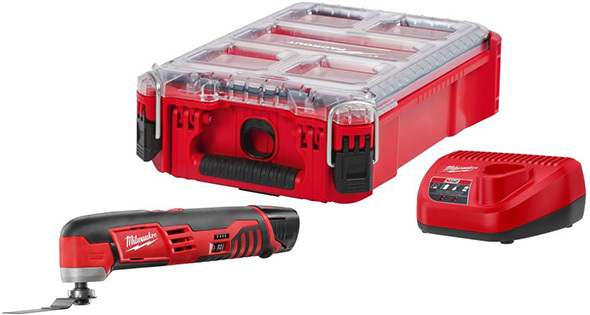 This Milwaukee M12 oscillating multi-tool kit + Packout tool box bundle just dropped in price. I had been hoping for this! I thought it was bound to be a $99 special buy, but $89 is even better! 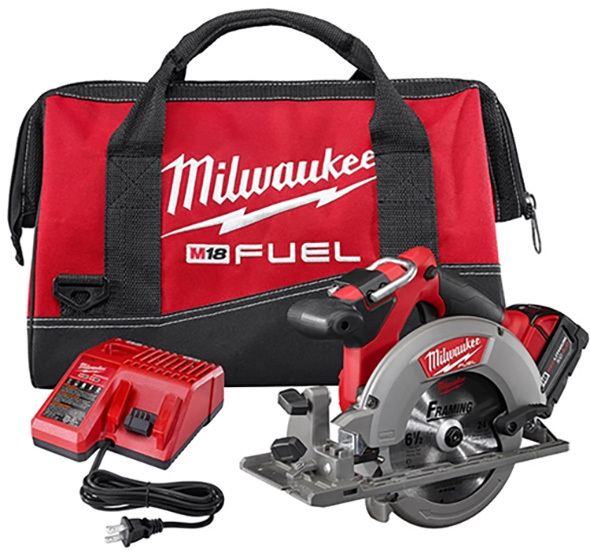 Some of you asked for more Milwaukee M18 Fuel deals – well, here’s one: this M18 Fuel 6-1/2″ circular saw kit is on sale for $199. The same kit (with charger and one 5Ah battery) is $319 elsewhere. How’s this for a super bundle? 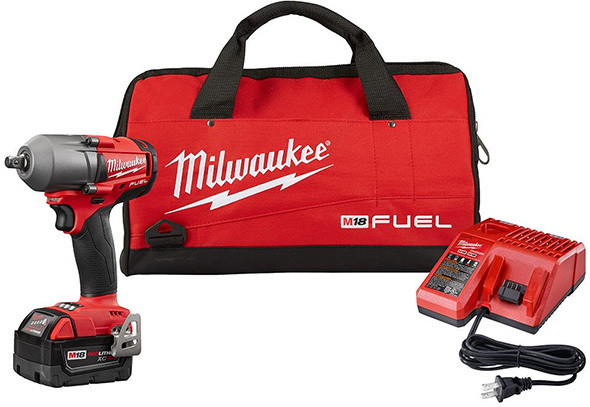 This deal features a Milwaukee M18 Fuel 3-tool brushless power combo (latest-gen hammer drill, latest-gen impact driver, Hackzall), a 5Ah battery, a 6Ah battery, a charger, and a 3-piece Milwaukee Packout combo. This is similar to a 3-tool + Packout tool box bundle being offered elsewhere for $399, but gives you the Packout rolling tool box and small box for just $100 more. Even with the lowest pricing I could find (via Acme Tools’ promo), that’s $138 in tool boxes. I think this is the best-valued M18 Fuel tool and Packout bundle I’ve seen – if you can use all the tools and tool boxes. 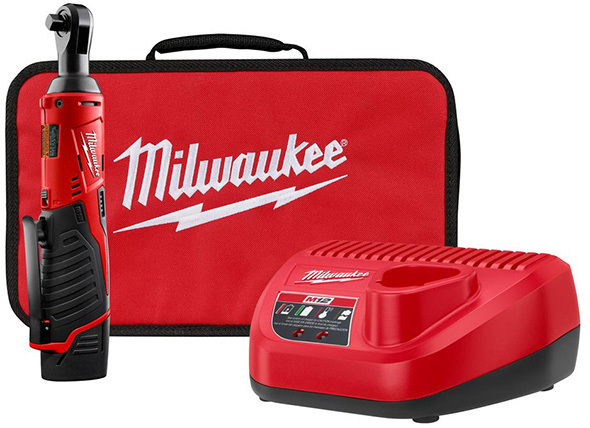 This Milwaukee M12 cordless screwdriver kit, with (2) compact batteries, charger, and carrying bag, is a whoppingly low price!! It’s on sale for $40 less than the next-lowest price we could find. Thanks to evadman for the tip! While not a power tool deal, Home Depot’s Black Friday 2018 Milwaukee Hole Dozer 17pc set deal went live. The set comes with 9 sizes of hole saws, 2 arbors, 5 pilot drill bit, and a hex key. 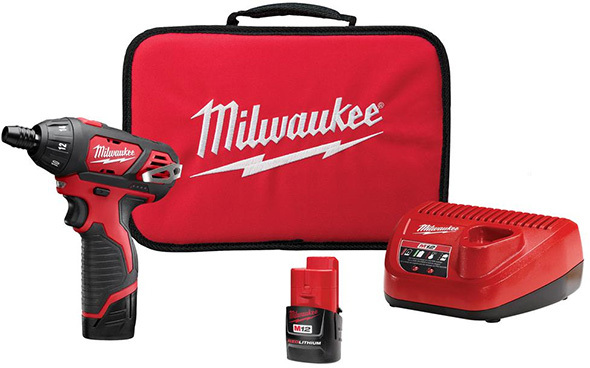 The Milwaukee 2457-21P M12 3/8″ ratchet kit deal just went live. 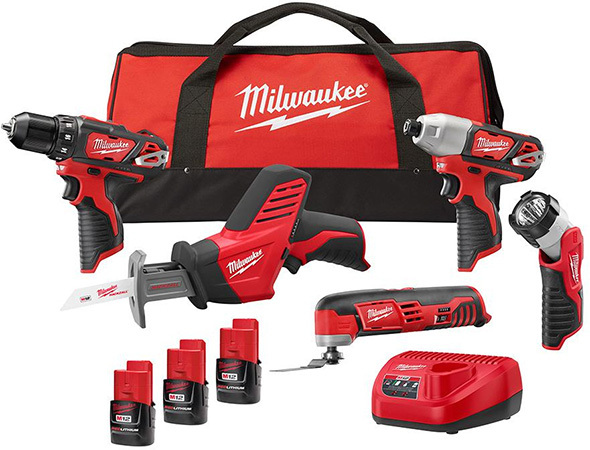 This special Milwaukee 2499-25P M12 5-Tool cordless power tool combo kit also just went live. 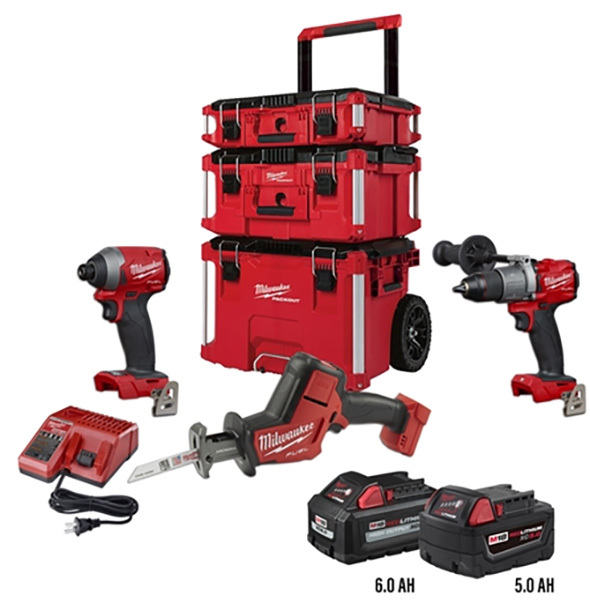 It features a drill, impact driver, Hackzall compact reciprocating saw, oscillating multi-tool, flashlight, charger, tool bag, and (3) compact batteries. 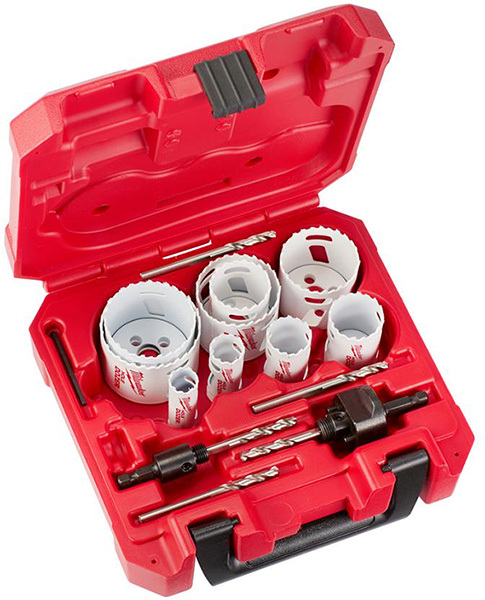 This M18 5-tool combo kit is on sale once again. « Lowes Thanksgiving 2018: 15% Back via Rebate, Sitewide! Seems like a fantastic deal for me, even if the screwdriver is worthless to you. the screwdriver is great!, it’s those 1.5ah that are little to no value to me (way too many 2ah & 3ah compacts.) 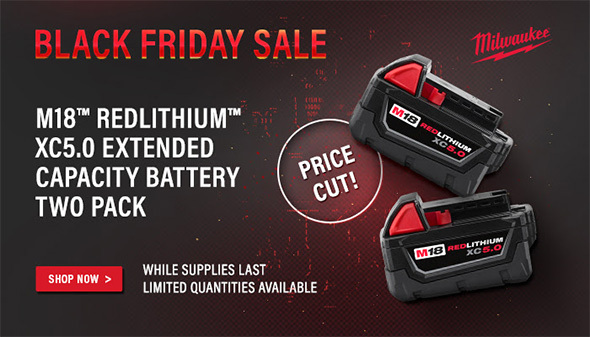 For whatever reason, there aren’t a ton of deals on the M12 screwdrivers, regular or Fuel, so this is pretty good. I’m on the fence on that 7-1/4″ slider, and know I would jump if I saw where the $100 was supposed to come off. The site is listing it at $499, which is the price everywhere on that, and no indications of the extra $100 off. ?? Yeah same here. I’ll jump on it if I can find the extra $100 off. It there a coupon code maybe? Sorry, it looks like their newsletter image was wrong. At quick glance, it looks like a good buy compared to the 2-tool combo price. The Mid-Torque impact wrench at International Tool was $169 with free shipping as of 1pm eastern time! Some sort of $20 off promo stacked on top of the sale price. FYI, you get a extra $20 off the 1/2″ torque wrench kit at International Tool. Making the price $169. Screaming deal!! I get the feeling I’m going to hate myself for not buying the miter saw I want the jog saw but hoping for a deal with compact batteries. The miter saw is a nice tool. I’m making the jump to M18. Got the hammer drill and Surge kit at Acme. I ordered the M12 drill kit with Packout case last week, which was my first time ordering with them, and they sent me a 10% off code I guess for being a new customer. It worked on the $299 kit I just bought! I really don’t know. Checking press materials, the saw kit launched at $499. I think the image was wrong. I grabbed it from the newsletter, but looking at my inbox, other images that I was sent ahead of time only mention the jigsaw offer. Thank you! 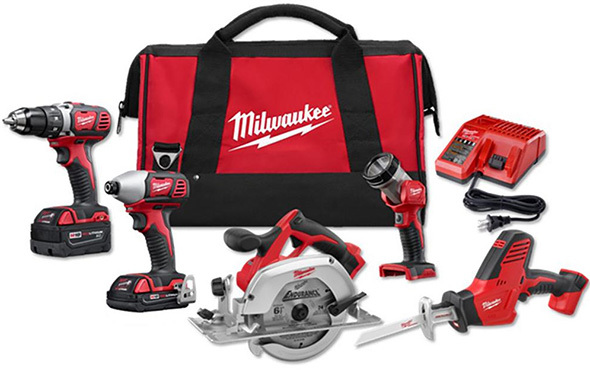 That does look like a good deal – I posted about it just now at https://toolguyd.com/milwaukee-m18-fuel-cordless-outdoor-power-tool-bundle-string-trimmer-kit-bare-blower-112418/ .